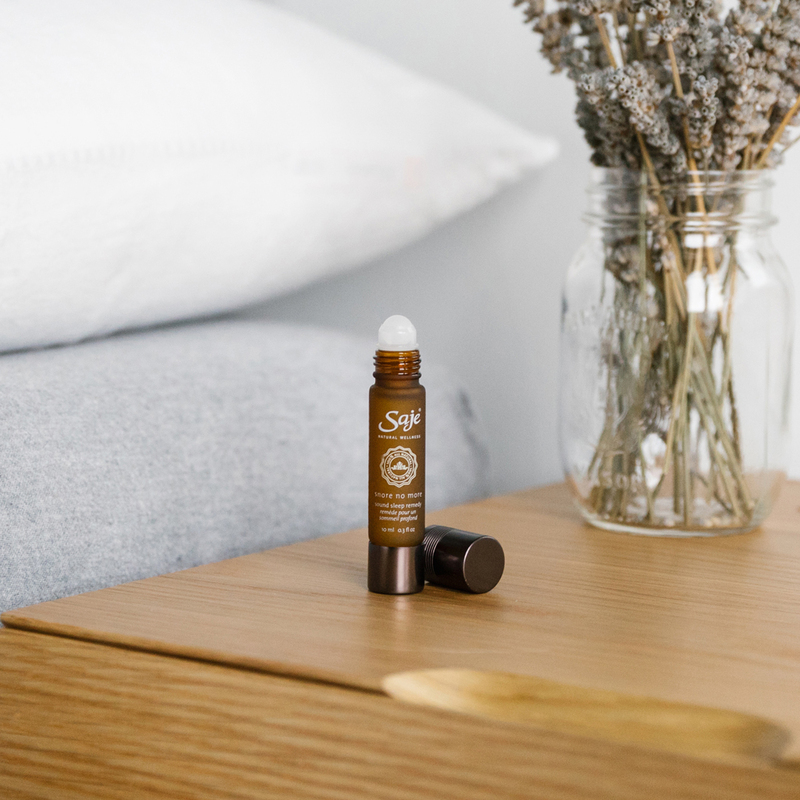 Drift away into a deep and snore-free sleep with an essential oil blend designed to relieve minor respiratory troubles and promote deep relaxation. The perfect companion for you (or your restless sleeping partner). SKU: 4315 NPN: 80038271 ? Before bed, apply to soles of feet and under the nose. Wear socks to prevent from transferring to your sheets. Keep out of reach of children. If swallowed, seek urgent medical attention or contact a poison control centre. This product is for external use only. Do not take orally. Do not use essential oil undiluted. If you have epilepsy, consult a health care practitioner prior to use. Avoid contact with eyes and mucous membranes; if this happens, rinse with vegetable oil. Do not use if you are pregnant or breastfeeding. May cause allergic reaction (e.g. skin rashes, irritation, and dermatitis); in which case, discontinue use and consult a health care practitioner. Avoid exposure of applied areas to the sun. Avoid with low blood pressure. For prolonged use, consult a health care practitioner. Grounding and soothing; a smart respiratory choice, as it relieves symptoms related to cold and flu. Refreshes a tired mind; soothes respiratory troubles while adding a herbal aroma. A soothing flowering herb that relaxes overworked bodies and promotes restful sleep. Roll onto soles of feet before bed for quicker absorption.